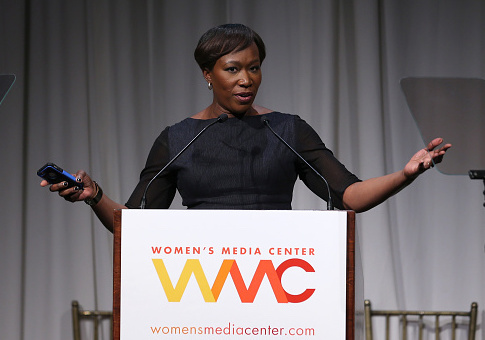 The independent "cyber-security expert" who MSNBC host Joy Reid tapped to investigate her claims of her old blog being hacked previously gave a tip to the FBI that wound up being a waste of time, according to a new report. Jonathan Nichols, Reid's independent security consultant, gave information to the FBI that led to the 2016 investigation of New Orleans IT professional Gregory Lirette, BuzzFeed reported Tuesday. While BuzzFeed could not verify what the alleged conduct was, no charges were brought against Lirette, and a source familiar with federal investigations said the "inquiry revealed trolling on both sides and had been a waste of time." No charges were brought against Lirette, who told BuzzFeed News that an FBI agent verbally informed him that the investigation had produced "no actionable charges." And the source familiar with FBI investigations told BuzzFeed News that the inquiry revealed trolling on both sides and had been a waste of time. In a recording from 2017, Nichols told Maibes that he had "called in" Lirette to the FBI. Nichols came into the public eye last month for his role in the strange saga gripping Reid, the liberal host of the weekend MSNBC program "AM Joy." Reid apologized in December after controversial blog posts she wrote more than a decade ago for "The Reid Report" surfaced in press reports. Among the postings were jokes about then-Florida Gov. Charlie Crist being a closeted homosexual. However, when a new spate of posts surfaced from "The Reid Report" last month that were more stridently homophobic, Reid emphatically denied responsibility and said her old website had been hacked. In her initial statement to Mediaite about the posts, Reid said she was working with Nichols, "who first identified the unauthorized activity, and we notified federal law enforcement officials of the breach." In a statement from MSNBC, Nichols said he was "cooperating with federal law enforcement in their attempt to identify the source of this activity." However, Nichols failed to produce evidence of any such manipulation, and the Daily Beast reported the proof he did put forward did not hold up under scrutiny. Reid ultimately addressed the controversy on her program "AM Joy" on April 28. While she admitted there was no evidence to substantiate her hacking claims, she insisted she did not "believe" she would write hateful things about the LGBT community, despite owning up to similarly themed posts and tweets. This entry was posted in Politics and tagged Buzzfeed, Cyber Security, Joy Reid, MSNBC. Bookmark the permalink.